My hands are covered in frosting when Jeff calls. Despite my best efforts, the French buttercream has oozed onto my knuckles and into the hammocks between my fingers, sticking there like paste. Only one pinkie finger remains unscathed, and I use it to tap the speakerphone button. Baking Season is Jeff’s name for the exhausting stretch between early October and late December, when all those dessert-heavy holidays arrive without reprieve. He likes to say it ominously, raising his hands and wiggling his fingers like spider legs. “How’s the airport?” I ask. “Bake like the wind,” Jeff replies. Call over, it’s back to the buttercream spider and the chocolate-cherry cupcake it partly covers. If I’ve done it right, the red center should ooze out at first bite. That test will come later. Right now, my chief concern is the outside. Decorating cupcakes is harder than it seems. Especially when the results will be posted online for thousands to see. Smudges and smears aren’t allowed. In a high-def world, flaws loom large. That’s one of the Ten Commandments on my website, squeezed between Measuring Cups Are Your Friends and Don’t Be Afraid to Fail. I finish the first cupcake and am working on the second when my phone rings again. This time there’s not even a clean pinkie finger at my disposal, and I’m forced to ignore it. The phone continues to buzz while shimmying across the countertop. It then goes silent, pausing a moment before emitting a telltale beep. Curious, I drop the icing bag, wipe my hands, and check the phone. It’s from Coop. We need to talk. Face 2 face. My fingers pause above the screen. Although it takes Coop three hours to drive into Manhattan, it’s a trip he’s willingly made many times in the past. When it’s important. His reply arrives in seconds. Now. Usual place. A spot of worry presses the base of my spine. Coop is already here. Which means only one thing—something is wrong. Before leaving, I rush through my usual preparations for a meeting with Coop. Teeth brushed. Lips glossed. Tiny Xanax popped. I wash the little blue pill down with some grape soda drunk straight from the bottle. In the elevator, it occurs to me that I should have changed clothes. I’m still in my baking wear: black jeans, one of Jeff’s old button-downs, and red flats. All bear flecks of flour and faded splotches of food coloring. I notice a scrape of dried frosting on the back of my hand, skin peeking through the blue-black smear. It resembles a bruise. I lick it off. Outside on Eighty-Second Street, I make a right onto Columbus, already packed with pedestrians. My body tightens at the sight of so many strangers. I stop and shove stiff fingers into my purse, searching for the can of pepper spray always kept there. There’s safety in numbers, yes, but also uncertainty. It’s only after finding the pepper spray that I start walking again, my face puckered into a don’t-bother-me scowl. Although the sun is out, a tangible chill stings the air. Typical for early October in New York, when the weather seems to randomly veer between hot and cold. Yet fall is definitely making its swift approach. When Theodore Roosevelt Park comes into view, the leaves there are poised between green and gold. Through the foliage, I can see the back of the American Museum of Natural History, which on this morning is swarmed with school kids. Their voices flit like birds among the trees. When one of them shrieks, the rest go silent. Just for a second. I freeze on the sidewalk, unnerved not by the shriek but by the silence that follows. But then the children’s voices start up again and I calm down. I resume walking, heading to a cafe two blocks south of the museum. Coop is waiting for me at a table by the window, looking the same as always. That sharp, craggy face that appears pensive in times of repose, such as now. A body that’s both long and thick. Large hands, one of which bears a ruby class ring instead of a wedding band. The only change is his hair, which he keeps trimmed close to the scalp. Each meeting always brings a few more flecks of gray. His presence in the cafe is noticed by all the nannies and caffeinated hipsters who crowd the place. Nothing like a cop in full uniform to put people on edge. Even without it, Coop cuts an intimidating figure. He’s a big man, consisting of rolling hills of muscle. The starched blue shirt and black trousers with the knife-edge creases only amplify his size. He lifts his head as I enter, and I notice the exhaustion in his eyes. He must have driven here directly from working the third shift. Two mugs are already on the table. Earl Grey with milk and extra sugar for me. Coffee for Coop. Black. Unsweetened. There’s always a nod. It’s Coop’s version of a handshake. We never hug. Not since the desperate one I gave him the night we first met. No matter how many times I see him, that moment is always there, playing on a loop until I push it away. They’re dead, I had choked out while clutching him, the words gurgling thickly in the back of my throat. They’re all dead. And he’s still out here. Ten seconds later, he saved my life. “This is certainly a surprise,” I say as I take a seat. There’s a tremor in my voice that I try to tamp down. I don’t know why Coop’s called me, but if it’s bad news, I want to be calm when I hear it. There’s worry in his voice too. He’s thinking about six months after Pine Cottage, when my appetite had left me so completely that I ended up back in the hospital, force-fed through a tube. I remember waking to find Coop standing by my bed, staring at the plastic hose slithered up my nostril. Don’t disappoint me, Quincy, he said then. You didn’t survive that night just to die like this. Like the nod, this is another of Coop’s constants. He always says it, never means it. I leave out how the case involves a man accused of killing a narcotics detective in a bust gone wrong. Coop already looks down on Jeff’s job. There’s no need to toss more fuel onto that particular fire. “Good for him,” he says. I shake my head. I told Coop I thought Jeff was going to propose on our August vacation to the Outer Banks, but no ring so far. That’s the real reason I’ve recently lost weight. I’ve become the kind of girlfriend who takes up jogging just to fit into a hypothetical wedding dress. “This visit is about you, Quincy,” Coop says, not even cracking a smile. That’s how things go between us when we meet once, twice, maybe three times a year. More often than not, the visits resemble therapy sessions, with me never getting a chance to ask Coop questions of my own. I’m only privy to the basics of his life. He’s forty-one, spent time in the Marines before becoming a cop, and had barely shed his rookie status before finding me screaming among the trees. And while I know he still patrols the same town where all those horrible things happened, I have no idea if he’s happy. Or satisfied. Or lonely. I never hear from him on holidays. Never once got a Christmas card. Nine years earlier, at my father’s funeral, he sat in the back row and slipped out of the church before I could even thank him for coming. The closest he gets to showing affection is on my birthday, when he sends the same text: Another year you almost didn’t get. Live it. He takes a gulp of coffee. I sip my tea and blink, keeping my eyes shut an extra beat, hoping the darkness will allow me to feel the Xanax taking hold. Instead, I’m more anxious than when I walked in. I open my eyes to see a well-dressed woman entering the cafe with a chubby, equally well-dressed toddler. An au pair, probably. Most women under thirty in this neighborhood are. On warm, sunny days they jam the sidewalks—a parade of interchangeable girls fresh out of college, armed with lit degrees and student loans. The only reason this one catches my attention is because we look alike. Fresh-faced and well scrubbed. Blond hair reined in by a ponytail. Neither too thin nor too plump. The product of hearty, milk-fed Midwestern stock. That could have been me in a different life. One without Pine Cottage and blood and a dress that changed colors like in some horrible dream. That’s something else I think about every time Coop and I meet—he thought my dress was red. He’d whispered it to the dispatcher when he called for backup. It’s on both the police transcript, which I’ve read multiple times, and the dispatch recording, which I managed to listen to only once. Someone’s running through the trees. Caucasian female. Young. She’s wearing a red dress. And she’s screaming. I was running through the trees. Galloping, really. Kicking up leaves, numb to the pain coursing through my entire body. And although all I could hear was my heartbeat in my ears, I was indeed screaming. The only thing Coop got wrong was the color of my dress. It had, until an hour earlier, been white. Some of the blood was mine. The rest belonged to the others. Janelle, mostly, from when I held her moments before I got hurt. I’ll never forget the look on Coop’s face when he realized his mistake. That slight widening of the eyes. The oblong shape of his mouth as he tried to keep it from dropping open. The startled huffing sound he made. Two parts shock, one part pity. It’s one of the few things I actually can remember. My experience at Pine Cottage is broken into two distinct halves. There’s the beginning, fraught with fear and confusion, in which Janelle lurched out of the woods, not yet dead but well on her way. Then there’s the end, in which Coop found me in my red-not-red dress. Everything between those two points remains a blank in my memory. An hour, more or less, entirely wiped clean. “Dissociative amnesia” is the official diagnosis. More commonly known as repressed memory syndrome. Basically, what I witnessed was too horrific for my fragile mind to hold on to. So I mentally cut it out. A self-performed lobotomy. That didn’t stop people from begging me to remember what happened. Well-meaning family. Misguided friends. Psychiatrists with visions of published case studies dancing in their heads. Think, they all told me. Really think about what happened. As if that would make any difference. As if my being able to recall every blood-specked detail could somehow bring the rest of my friends back to life. Still, I tried. Therapy. Hypnosis. Even a ridiculous sense-memory game in which a frizzy-haired specialist held scented paper strips to my blindfolded face, asking how each one made me feel. Nothing worked. In my mind, that hour is a blackboard completely erased. There’s nothing left but dust. I understand that urge for more information, that longing for details. But in this case, I’m fine without them. I know what happened at Pine Cottage. I don’t need to remember exactly how it happened. Because here’s the thing about details—they can also be a distraction. Add too many and it obscures the brutal truth about a situation. They become the gaudy necklace that hides the tracheotomy scar. I make no attempts to disguise my scars. I just pretend they don’t exist. Excerpted with permission from Final Girls © 2017 by Riley Sager. Published by Dutton, an imprint of Penguin Random House LLC. 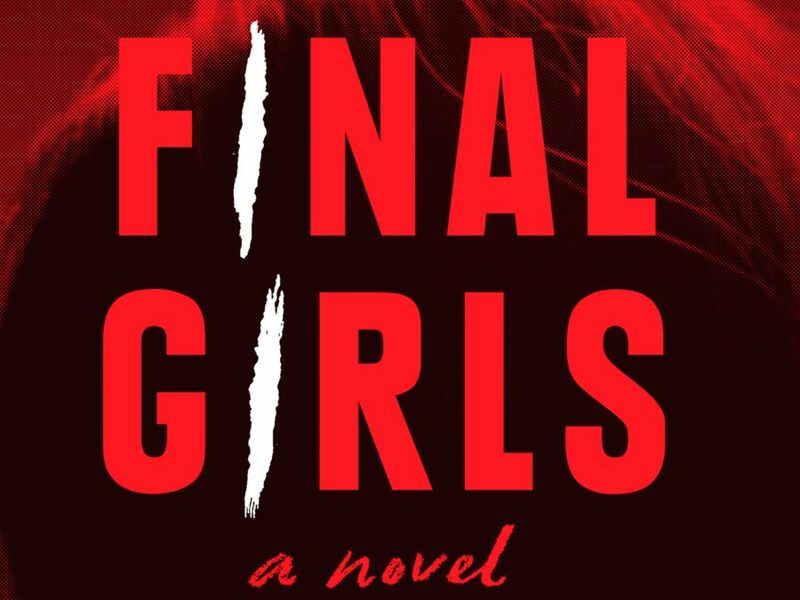 Final Girls is the first thriller from RILEY SAGER, a pseudonym for an author who has previously published under another name. 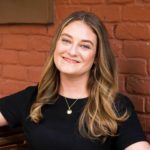 A native of Pennsylvania, Riley is a writer, editor, and graphic designer who lives in Princeton, New Jersey.